Jan grew up in Springfield Illinois and started her dance training at the age of three at the Mack Professional School of Dance under Betty Jo and Joey Mack. Jan, was on scholarship at the Stone and Cameron School of Ballet in Chicago, before she audition and was chosen to tour the country with the “Lenore Sutton Dance Troupe”. In 1982, Jan opened the doors to Jan’s Dance Studio and found a place to combine her experience as a professional dancer and her passion for dance education. Her business flourished and moved progressively through numerous locations to reside at her current location in Chatham, Illinois. Jan has studied at the Broadway Dance Center in NYC and the Edge Performing Arts Center in Hollywood CA. 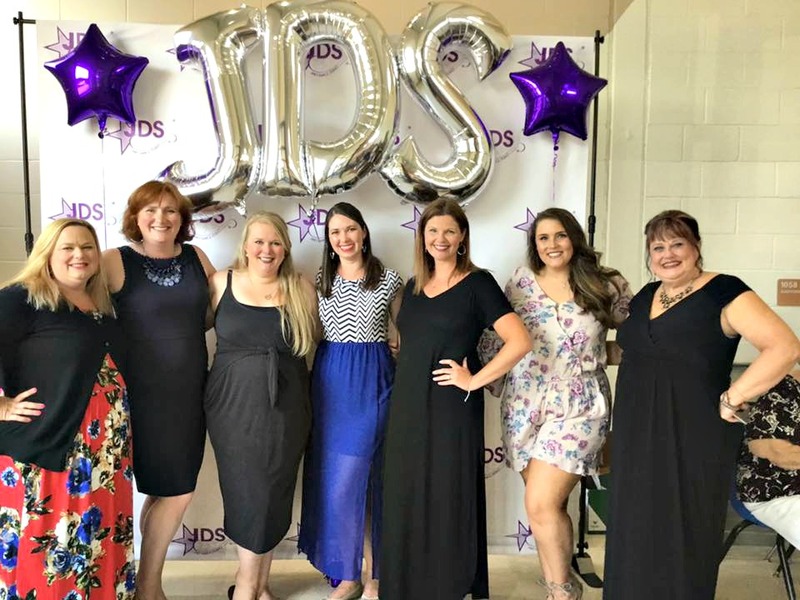 She also travels with her students and teachers to several Conventions and Competitions every year to ensure that her students are receiving the best and most current dance education. She is also a certified active member of Chicago National Association of Dance Masters and currently holds an elected position on the board of directors for the Southern Association of Dance Masters. She has been active in the dance community locally, choreographing and performing at the Springfield Muni and Springfield Theater Center, sharing the joy of dance nursing homes and presenting an annual performance at the Hoglan Center for the Arts. Her students have received national talent scholarships, choreography awards, and professional contracts in the dance and entertainment fields. Jan currently has several students majoring in dance at the college level. Is a proud JDS Alumni! She has taught Master classes and performed in shows all over the country. She is also a talent judge for numerous dance competitions and has taught on several national dance conventions. Currently, she a faculty member at Millikin Univesity and has been for the past 4 years as an adjunct Professor of Dance. Gretchen’s has been recognized for her choreography and teaching at numerous national competition and conventions! In addition, she has had a successful career as a professional performer playing “Enid Hoopes” in the First National Broadway Tour of “Legally Blonde”. Prior to Legally Blonde Gretchen was in the National Tour of “Fame: the Musical” and in an off-Broadway Production of “On the Town.” She is also a seasoned regional performer starring in roles at the Little Theater on the Square, Wagon Wheel Theater, Portland Center Stage and Geva Theater Center to name a few. Gretchen got her theater start right here at the Springfield Muni Opera and went on to hone her skills studying at Broadway Dance Center, Steps on Broadway, Lou Conte, Gus Girdano, Edge Performing Arts Center, LA Performing Arts Center just to name a few! She has a B.F.A. from Millikin University in Decatur, IL in Musical Theater and a minor in Dance. Hannah began her dance career at age five at Jan’s Dance Studio. At JDS she was a member of the Company and Competition team. Hannah graduated from JDS and Glenwood High in 2010. At Glenwood, Hannah led the dance team and Titan Fever show choir. She captained and choreographed the nationally ranked Millikin Sapphires Dance Team and was in the elite Dance Ensemble at Millikin Univesity, where she received her Bachelor’s Degree in Sociology and Minor in Dance. This is Hannah’s second year as a teacher/choreographer for JDS. She had an amazing first year with her dancers and fellow teachers. She is excited to continue fulfilling her passion for dance by teaching the future of JDS! Elisabeth started dancing at Jan’s at the age of four, loving every minute of class with Miss Jan, Miss Gretchen, and her other teachers. After she graduated from high school, she continued dancing at Millikin University in Decatur, where she majored in Elementary Education with a concentration in Fine Arts. She took a few years off from dance to focus on her teaching career, 8th grade Language Arts at Sangamon Valley Middle School, but is now in her third year of teaching at Jan’s and is again loving every minute. Elisabeth truly enjoys sharing her dance passion with the girls who are just learning to love dance, both the “babies” and the older girls in her teen class. It’s never too late to start dancing!